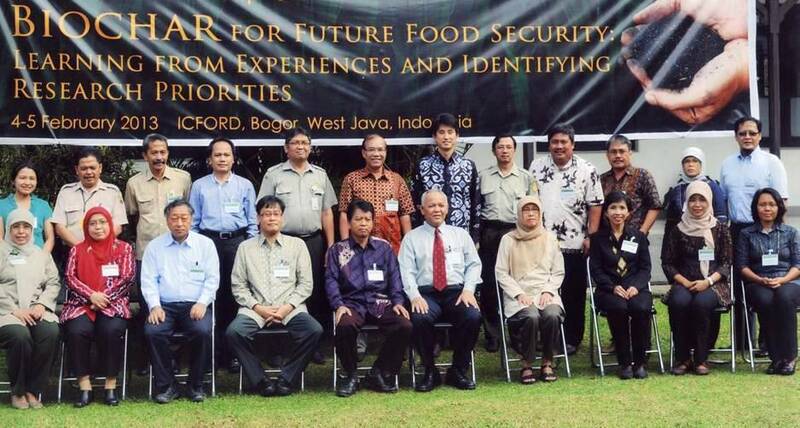 The National Workshop on Biochar for Food Security was held on 4-5 February 2013 at the Indonesian Center for Food Crops Research and Development (ICFORD). The workshop aimed to consolidate ongoing research activities and identify research priorities, and develop a research network across national research communities in Indonesia. 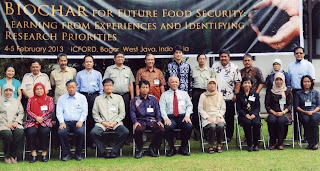 Twenty-seven participants came from IRRI, ICFORD, Hokkaido University, and various research institutions in Indonesia (Lambung Mangkurat University, Lampung University, Indonesian Center for Agricultural Library and Technology Dissemination, Indonesian Swampland Agricultural Research Institute, Indonesian Agricultural Environment Research Institute, University of Mataram, University of Tribhuwana Tunggadewi, Center for Socio-Economic and Policy Research on Forestry, Brawijaya University, R&D of Forestry Engineering and Forest Products Processing, Indonesian Soil Research Institute, and Center for Socio Economic and Policy Research on Forestry). Ir. Hasil Sembiring, ICFORD director, opened the event. The workshop was organized by IRRI and the Japan International Research Center for Agricultural Sciences in collaboration with ICFORD. Hello Excellent people what where the outcomes ?